George Orwell has written some of my favorite fiction and nonfiction. Top points in my book go to 1984 and Down and Out in Paris and London. Orwell never flinched from the socio-political realities of his day, and his prose challenges the reader to try and let him/herself off the hook. 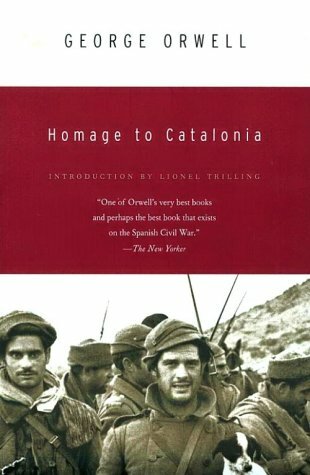 Homage to Catalonia is Orwell’s account of his participation in the Spanish Civil War. Although I tend to skip book introductions, I would recommend the introduction of this book, written by Lionel Trilling. Trilling makes the interesting case that Orwell was not a genius, not someone we normal folk could never hope to emulate, but rather a man who “communicates to us the sense that what he has done, any of us could do” (xi). I’m not sure I agree that all the other men named in the introduction are surely men of genius in ways that Orwell necessarily wasn’t (William James, Thoreau, and Whitman, among others), but Trilling’s assertion does speak to my sense of uncertain discomfort when I encounter some of Orwell’s work I find dissatisfying (I put Keep the Aspidistra Flying down in disgust after only a few pages; what self-plagiarizing, what hackneyed prose!). Perhaps it is more useful to consider the writers we admire not as geniuses, but as thinkers whose ideas and works we may value, or not. It makes for a much more dynamic reader/writer relationship. 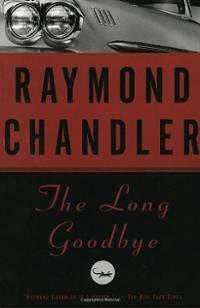 I must admit, I wasn’t much won over by My Lovely, but I had a lot more fun with The Big Sleep, and now that I am delving into The Long Goodbye, I have a true appreciation for private-eye Philip Marlowe’s unusual similes, tough wit, and surprising displays of personal morality. I am also a fan of seemingly throw-away details, such as Marlowe’s inhaling of soft-boiled eggs and three cups of coffee, whiskey being swigged out of paper bags, and bars, bookshops, and boats all serving as fronts for greater crimes. I finally made the time to see this film, and I found it gratifying for many reasons. Not only is it fun to watch a film representing my town of Boston; I was surprised at how particularly current was the point made in the bar, early in the film: what does it mean to make your own education with a public library (alternatively, insert here any other means: MOOC courses, educational media, etc. ), versus putting down bills for an “overpriced education”? Are we paying for degrees (read: prestige, social distinction, assurance of middle class status) rather than knowledge? 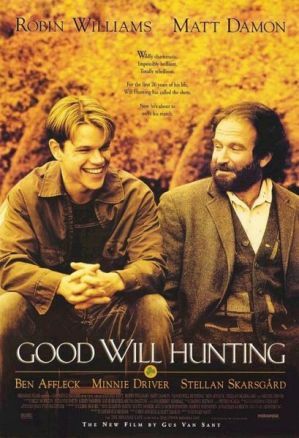 Is it fair to make this point to those who are not as brilliant as Will Hunting? Do we set the less intellectually gifted up for opportunity or failure? This film reminded me, at first, of another favorite, Finding Forrester (2000), in its portrayal of a working class, intercity underdog with a great mind. But I like that the burning question posed to Matt Damon isn’t, How will you get where you want to go? Our underdog stops being an underdog fairly quickly. Rather, the question becomes, What do you want to do? Should you shoot for the stars because you have the means to do it? To whom do geniuses owe the application of their potential, to others, or themselves? This entry was posted in Culture Updates, Literature, TV and Film and tagged Finding Forrester, George Orwell, Good Will Hunting, Homage to Catalonia, Raymond Chandler, The Long Goodbye. Bookmark the permalink.